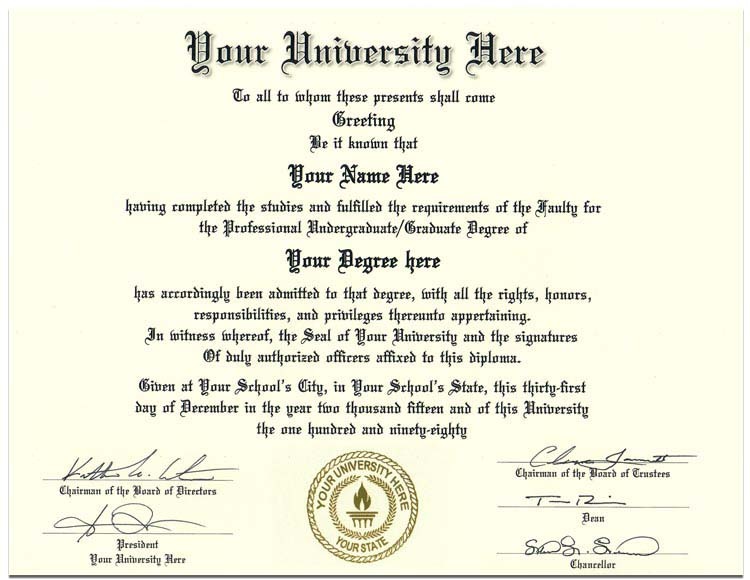 Our style 8 College diploma is printed on parchment paper just like the school's use for a very authentic look and feel. 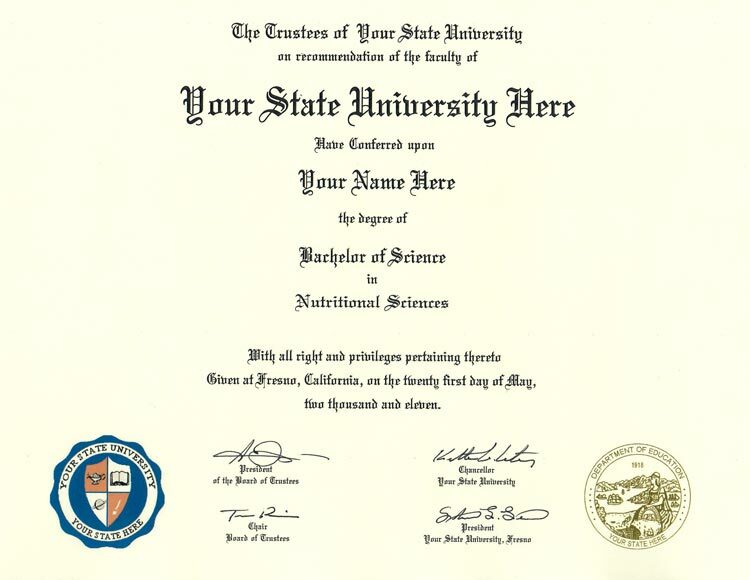 Your diploma will come with a gold fusion State seal and a school seal on it. 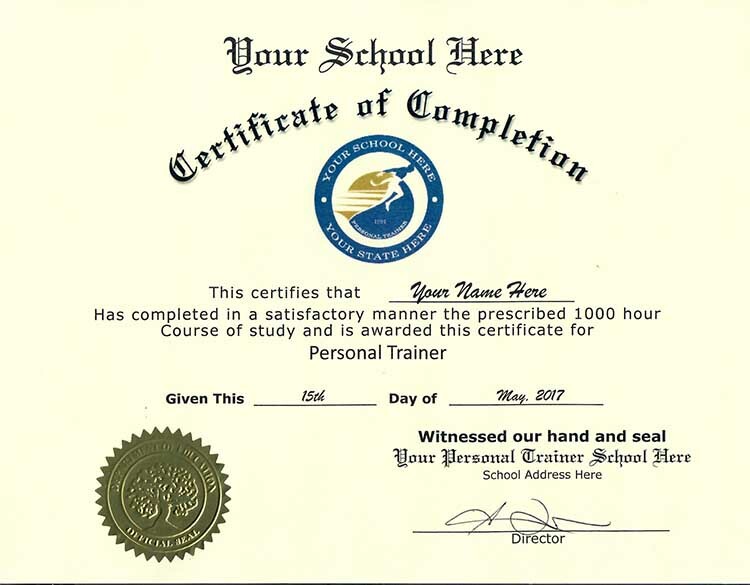 You may also want to add the optional fake transcripts to your fake diploma order. 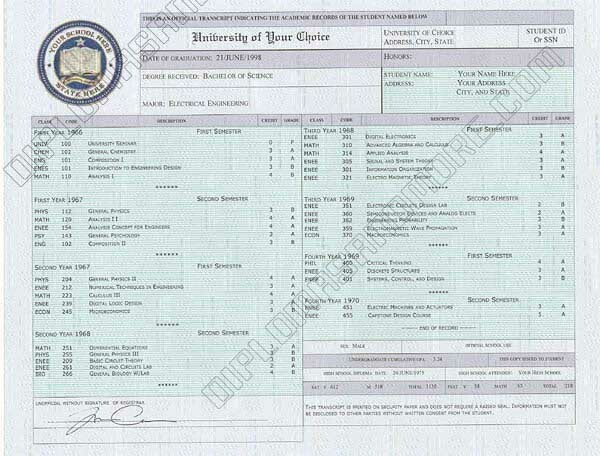 Our transcripts do have the school grading summary on the back. 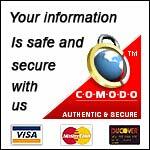 Our transcripts are printed on official security paper. Our college diplomas are size 8 1/2"X11". 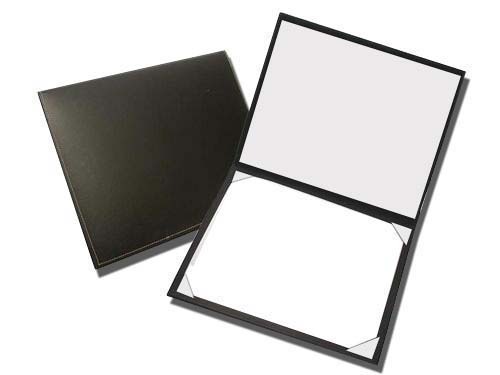 For a truly authentic fake diploma package you may also want to add one of our optional Leatherette padded diploma holders. These diploma holders are black on the outside and white silk lined on the inside. NO MEDICAL OR LAW DEGREES!